DIY Media file recovery resources Easy to use tool to Recover deleted or lost photos, videos, music files, text, RAW images and other sorts of files from hard drives, SD cards, memory cards, CF cards, pen drives, digital camera & other storage media. Recover all lost / deleted JPG, PNG, CR2, CRW & other image formats from Canon cameras of all models in simple steps by downloading Remo Recover tool. Recovering lost / deleted Audio files of any format- WAV files, MIDI, MP4, M4A, MP3, AMR, AIF, AIFF, RA, AIFC, etc. is simpler and easier with Remo Recover software. Get Remo Recover tool to quickly restore all pictures from corrupt / formatted memory sticks in three easy steps - Scan - Select - save !! Camera recorded videos which are not found in the camera card can be easily retrieved with the help of Remo Photo Recovery software. Read here to know complete procedure.. Deleted recordings from CCTV can be easily recovered with Remo Photo Recovery software. Download the free software to get back the recordings now! Read here to know the complete guide to restore lost or deleted picutes from PS3 hard drives. PNG files that got deleted or lost due to various issues can be easily restored with the sid of Remo recover software. TIFF files might get erased du to various reasons; Remo Recover software will easily restore back all TIFF files in just few simple steps..
Formatting drive without backup will make your photos inaccessible and lost. Using Remo Recover software you can easily recover all your images in simple steps.. Recover all your deleted or lost GIF files quickly using Remo Recover software. It supports GIF recovery from memory card, SD cards, or from any drives in simple clicks. 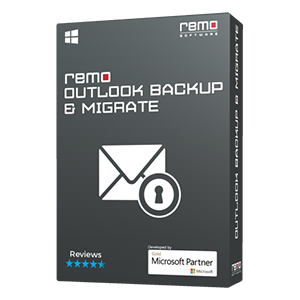 BMP files lost or deleted from any sotrage device can be easily restored with the help of Remo Recover software. Check out here to know the complete process. Get back all your deleted video files - Mov, MP4, M4V, MKv, 4GP & others from Windows 7 PCs in just few clicks..
MOV video lost / erased after formatting SD cards can be easily recovered with the help of Remo Recover software. Supports Kingston, Transcend, Sony, HP, Lexar, sony etc. Get back deleted or lost AMR audio files from memory card, computer, USB drive, and other storage devices using Remo Recover software. Get the free trial version now to recover and preview the recovered files for free! Read here to know the best way to resore back your deleted videos - MP4, MOV, 3GP, M4V and other videos in just few smiple steps..
ShockWave Flash files that are deleted or lost after accidental deletion, formatting, and other causes can be easily recovered with Remo Photo Recovery software. Files lost or deleted from Sony vegas camera cards can be eaisly restored with the help of Remo Recover Software. Read here for comlete details.. Deleted MP4 videos can be easily resotred with the aid of Remo Recover software. The tool supports all latest versions of Windows & Mac OS. Looking for a solution to restore videos deleted or emptied from recycle bin? Remo Recover software will help you get back all videos in few clicks..
Read here to know how to recover deleted videos files from webcam memory cards. It suports video recovery from both Windows and Mac computers.. Deleted or Lost 3 GP videos can be easily recovered by using Remo Recoveer software in just few minutes. Read here for comlete procedure..
Did you lose your favorite pictures or videos from the memory card? Here is the best tool to recover media files from formatted memory cards. Restoring images and video from formatted, deleted or corrupt camcorder memory cards is now simple with Remo Card Recovery application. 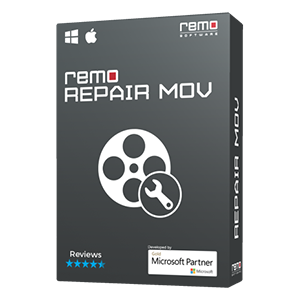 MOV files deleted from camera cards, hard drives, pen drives and other devices can be easily restored with the help of Remo Recover tool in simple steps. Know more here..
WMF files recovery is made simpler now with Remo Recover software. Media files deleted or lost due to any reason can all be restored in few steps with this tool. Remo recover is the finest utility to retrieve deleted music folders on Windows 10 systems with the help of enriched recovery algorithms. Remo Photo Recovery software helps you in recovering deleted or lost RM video and audio files after accidental deletion, formatting the drive and other data loss scenarios. The safest way to restore AVCHD files from memory cards and other storage drives is using Remo Card Recovery program. Remo video recovery is a well-designed tool to restore videos lost or deleted from GoPro camera/camcorders of any models..
Remo Recover software will easily recover back your videos that were deleted using shift - delete or those emptied from recycle bin on your Windows 8 PCs in simple clicks.. Backup and recover your lost audio files from computer, memory card, flash drive, and other storage devices using Remo Photo Recovery tool. Download the free version now.. The best-suited solution to retrieve MP3 files that are lost or permanently deleted. Remo Card Recovery program gets back all sorts of media files in an effortless fashion. The Remo Card Recovery tool offers a hassle-free way to restore music file having any file extensions just within simple clicks. Remo Recover is an easy-to-use application that performs media data recovery from all models of Sony Camera/camcorders. 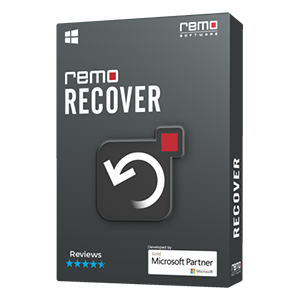 Restore your lost or deleted DV files using Remo Card Recovery software in a simple yet convenient way. Try the free version now..
Recoveirng deleted M4V videos I not easier with the help of Remo recover software. It scans and extracts all M4V vidoes from hard drives, camera cards, pen drives etc. Media files from GoPro cameras can be easily extracted using the Remo Card Recovery program. Its an efficient tool that even works with all brands of cameras. The ultimate way to restore files from Samsung YP-U3 MP3 Player on Windows or Mac OSX. Formatted or Deleted files can also be extracted in simple clicks. Remo Card Recovery program a proficient tool designed to recover media files from Samsung MY-MP200 Player that is formatted or corrupt. Start recovering lost songs from Samsung YEPP YP-P2 Player using the Remo Card Recovery software with an ultimate ease. Remo Card Recovery program is a highly-reliable tool that can revive accidentally deleted MP3 files from Panasonic D-Snap MP3 Player in quick steps. Read here to learn the best solution to resotre Lost video files - MOV, MP4, M4V and other formats from Kodak Black Pocket Cacorder in few steps.. Easily unformat data from Kingston SD cards using the Remo Card Recovery software. The program scans the formatted card and extracts any songs, pictures or videos from it. Worried about recovering files from SD card which was formatted as internal storage? Use Remo Photo recovery for best result. Remo Recover software will quickly restore all missing / lost files from SD cards; Here is a Step by step instruction to retrieve missing files from SD card, read here. Recover photos, audio, video and other documents from SDHC cards using Remo card recovery software. Simply download a trial and try for free! Easily recover lost or deleted data from ADATA memory cards using Remo card recovery software. All you need to do is perform a few clicks for the software to recover your files. Remo Card Recovery software specializes in recovering your lost/deleted data from Memory stick Duo in just few steps. Recover deleted audio and video recordings from memory card using Remo card recovery software. It supports audio and video like MP3, MP4, AVI, MOV, WAV, 3GP etc. Use Remo Photo Recovery utility to restore data from formatted SD card. It restores all sorts of data including photos, videos & others..
Lost your videos due to SD card corruption? No worries, simply download Remo Recover and recover all kinds of video files like MP4, MOV, AVI, 3GP etc. Use Remo card recovery tool to recover files from corrupted, RAW or inaccessible SD cards. Supports all brands like Kingston, SanDisk, Samsung, Lexar etc. Check out a trial today! Recover MP4 files from SD cards in a quick and easy manner using Remo Recover. Not just SD cards, but all types of cards like CF, XD, CF etc. are supported by this tool. Try it today! Has your SD card gotten corrupted due to abrupt removal of device? Don't worry, it is possible to recover pictures from corrupted SD cards using Remo Photo Recovery software. Have a damaged memory card and unable to access data on it? Look nowehere else, simply download Remo Recover and recover all your files from the card. Recover lost or deleted data from memory cards like SD, micro SD, CF, XD and SDHC cards. Use the tool to recover various formats of photos, videos, audio and other documents. Learn how to easily recover audio files of various formats like MP3, MP4, WAV from memory cards using Remo Recovery software. Different types of memory cards like CF, SD, micro SD, XD etc are supported. Install Remo Photo Recover to recover jpg files from corrupted sd card in few clicks; Just follow the steps expained in this article..
know here if it's really worth to use Remo Photo Recovery Software to Recover photos from corrupt flash drive. Nothing to worry about restoring files deleted, lost or formatted from TF card. The Remo Card Recovery Tool will smartly bring back your files in no time. Is your SD card inaccessible? Use Remo Photo Recovery software to restore files in just 3 simple steps - Connect - Scan - Save!! Use Remo Photo Recovery software to restore data from a not recognized micro SD cards of any brand - Transcend, PNY, Sony, Kingston, etc. With the help of Remo Photo Recover you can now easily recover files from unreadable SD card - Transcend, Sony, HP, kingston, SanDisk etc. Photo recovery can be done from damaged / corrupt / inaccessible SD card using Remo Recover tool. Check out here for full details.. Learn how you can perform photo and video recovery from SD, micro SD, XD, CF cards using Remo card recovery software. Download and try today! Here's a best way to Retrieve files from cf cards that are corrupted. Use Remo Recover to recover lost or deleted photos, videos and audio from SD cards on your Windows 10 systems. All you need is a few clicks and have your data recovered in minutes. Remo Card Recovery software wil help you recover all your data from corrupt or formatted CF card in simple steps. Lost some important text files from your SD card? Use Remo Recover and recover your text files from SD cards easily. Remo supports all brands like SanDisk, Kingston, Samsung, Lexar etc. Wondering how to recover deleted files from micro SD card? Look nowhere, simply use Remo Recover and recover all deleted files from micro SD, SD, CF, XD etc. Recover all images like JPEG, JPG, PSD, PNG, GIF, TIFF, RAW etc. using Remo Photo Recovery software. Use this tool to recover from corrupt, damaged, inaccessible or RAW SD cards. The Smart Media Card Restoration is now made simple with the Remo Card Recovery software. This fine tool scans and extracts media from the card storage in simple clicks. Recover data from formatted CF cards with th help of Remo Card recovery software. It recovers all sorts of data from CF cards of any brand in simple clicks.. Recover lost photos from SanDisk SD cards easily using Remo Photo Recovery software. Whether you've lost photos during transfer, due to virus attacks or due to other reasons, recover them easily. Did you just accidentally format your Lexar Memory Card and want to recover it? Use Remo Photo Recovery tool for the best result. Remo Recover is an excellent utility to restore lost, deleted or inaccessible media from Patriot memory cards in simple clicks. Use Remo Photo Recovery to recover data from SD cards on your Windows 8 systems. Recover all kinds of data like photos, videos, audio files and other documents using this fantastic tool. Recover lost or deleted files from EMTEC memory cards using Remo Recover tool. The tool restores files lost after formatting, corruption or virus attacks etc. Restore Sony SDHC card data using Remo Photo Recovery software. All your SD card data like photos, videos, audio and other documents can be recovery easily using this tool. step by step guide on how to recover data from fromatted psp memory stick in just 3 simple steps. Have you deleted important files from SDHC memory card? Recover all types of files like photos, videos, documents and audio files using Remo Recovery software. Recover photos, videos, audio files, PPT's and other office documents from Kingmax memory card using Remo card recovery software. Download and try today! Remo Media file recovery software ensures complete recovery of lost.mov files from lexar professional 600x in just 3 clicks. Accidentally deleted data from Toshiba memory card? No problem, recover deleted files easily using Remo Photo Recovery software. Download a free trial and try today! Freaking out after seeing a message on your memory card that says 'Folder Empty'? You don’t have to, use Remo Recover to recover all your memory card files in a few simple steps. you are just few steps away from restoring deleted videos from CF card using Remo Card Recovery Software. Easily get back pictures and videos from Fujifilm XD cards using Remo Photo Recovery tool. Also recover files from other cards like SD, micro SD, SDHC and SDXC cards. Remo Card Recovery tool acts like a Magic formula to restore your lost data from kingston flash card. Recover data from Dane Elec memory cards in a quick and efficient manner using Remo Recover Media edition. Check out the trial version today! use remo recover windows to retrieve deleted 3d video files from lexar Professional cf card the Right way. Have a corrupted SanDisk memory card with inaccessible data. No worries, use Remo card recovery and recover all your photos, video and audio files. Have a Kingston memory card with lost or deleted files? Don’t worry, use Remo card recovery tool to recover all your files easily. Check it out now! Recovering 3G2 files fromformatted / corrupt memory card is now made simpler with the Remo Card Recovery utility within clicks. Accidentally deleted files from XD picture card? No matter whatever the reason for deletion, recover your files easily using Remo Recover. Formatted your Sandisk Ultra 32GB micro SDHC card to repair corruption? Don’t worry, use Remo Photo Recovery to recover from formatted cards. Click here to know more..
Use Remo Recover to restore XD card data of any brand like Sony, Lexar, Kingston, Samsung, SanDisk etc. Download a trial and try now! Being a video game loved, did you just lose your saved game file from Lexar Memory Stick PRO Duo. Here comes the best solution. Use a simple to use Remo memory card recovery tool to recover files from HP memory cards. Download the free trial today.. Recover deleted or lost photos from formatted or damaged Samsung SDHC memory cards using Remo Recover. Download Now! Remo Photo Recovery software is one of the best XD card recovery tools available. Using this tool, various formats of photos, video and audio can be recovered. Accidentally formatting sd card is not a mistake. Reax and follow the instructions to recover. Recover deleted or lost pictures from Transcend SDHC cards using Remo Photo Recovery tool. It even supports other brands like Kingston, Samsung, Sony, SanDisk etc. Learn how to recover lost images from formatted Transcend SDXC cards. Recover all types of images like JPEG, PSD, PNG, GIF, TIFF and RAW images using this tool. Has abrupt removal of SDHC cards caused corruption? Don’t worry, use Remo Photo Recovery to recover pictures from SDHC cards, no matter the reason for corruption. Lost images from Olympus 1GB XD cards? Look nowhere else, simply download Remo Photo Recovery software and recover all lost photos no matter the reason for loss. Recover JPEG images from Sony SDHC memory cards using Remo Photo Recovery tool using few simple steps. Get it Now! A-Z details on recovering data from PNY SD cards uing Remo recover tool is listed here. Click here to read more..
Get the one stop solution to bring back data from inaccessible memory card storage here. Read here to know the complete procedure..
Have you lost Zip files from SD cards? Don’t worry, use Remo Recover to recover lost or deleted Zip files from Lexar professional SDXC cards easily. Accidentally deleted MOV files from Sony SDHC memory cards? Don’t worry, recover them easily using Remo Recover. Download a trial today! Photo Recovery is extremely simple using Remo Photo Recovery software. Download the tool and recover JPEG, JPG, PNG, PSD, RAW & others from Olympus XD cards. Have you formatted your XD card and worried about your files on it. With Remo Recover, you can easily recover all your data on XD cards using a few simple steps. Retrieve RAW images, PSD, JPEG, PNG, JPG, GIF, TIFF and other formats from XD cards using Remo Photo Recovery tool. Download a trial to see how the software works. Use Remo Recover Media to recover all types of videos like MP4, MOV, AVI, MPG, M4V, 3GP etc from Kingston Digital Ultimate X SD cards. Try now..
Remo Recover Media edition is the perfect choice to recover media files like photos, videos and audio files from XD cards. Check the trial copy.. Recover your precious photos on Windows 10 after accidental deletion, formatting the drive, corruption of the storage device, etc. with Remo Photo Recovery software. Have you accidentally deleted JPG files from computer, camera, USB drive, or other storage device? Then, use Remo Photo Recovery software to get them back in three simple steps. Quick tips about how to recover your pictures after System Restore. when your important photos get deleted or lost from external hard drive, recover them back easily using Remo Photo Recovery software. Guidelines to get back your lost Pictures on PC. Easily restore Lost Pictures from Kodak Easyshare cameras of various models using Remo Recover software. Accidentally deleted pictures can be easily recovered back with the help of Remo Photo Reovery software. JPG, PNG, PSD & other images can be easily restored back in just few simple steps. This page guides you on how to recover photos that are deleted from recycle bin using Remo Recover software in three simple steps. Remo Photo Recovery software helps you in recovering deleted photos of various formats from the download folder on both Windows and Mac machines. An inside look at how to find your lost or deleted photos using Remo Recover. Professional photo recovery software from Remo helps you to recover deleted or lost photos from Fujifilm camera in few clicks. If you have accientally deleted or lost your precious pictures from Canon EOS 5D Mark IV camera, then make use of Remo Photo Recovery software to get them back on your Windows or Mac computer. Download the free Camera Photo Recovery software from Remo to recover lost and deleted photos from Polaroid cameras. Using Remo Recover software you can easily restore back deleted camera Roll folder in easy steps. Photos, videos, music files & other media files can all be restored with ease..
How to recover deleted or lost photos from digital camera? Professional digital camera photo recovery software - Remo Photo Recovery tool retrieves photos from all brands of cameras in few clicks. Download for free and try now!!! Photos from Sanyo cameras can be restored using Remo Recover software. It helps to bring back all sorts of pictures & other data from camera cards of various brands…. Lost or accidentally deleted the photos from Sony Cybershot digital camera? Then, utilize Remo Photo Recovery tool to get back them in few easy steps. Download the free version now! Remo Photo Recovery - A perfect photo recovery program to recover deleted and lost images from Canon EOS cameras. It recovers Raw photos with CRW, and CR2 files with ease. Get the free version now, and recover your photos from Canon camera. Searching for a Nikon Photo Recovery solution? Then, download the Remo Photo Recovery software for free to retrieve deleted and lost RAW & NEF photos from Nikon camera cards in three simple steps. Use Remo Photo Recovery software to recover deleted/lost photos from formatted, reformatted, and corrupted Casio Exilim camera card in few steps. Photo Recovery Software from Remo offers recovery of deleted and lost photos and videos from Hasselblad camera. It also offers free preview of the recovered files before you purchase the license of the software. Remo Recover is the best photo restoration program to rescue deleted and lost RAW PEF photos from Panasonic Lumix digital camera. Remo Recover - Professional Photo Recovery software for Canon digital cameras. It recovers deleted RAW photos including CRW, and CR2 files from Canon EOS camera in three easy steps. Accidentally deleted pictures from your Canon EOS camera? Then, use Remo Photo Recovery software, which recovers Canon camera RAW picturess in three simple steps. This tutorial will teach you how to recover lost or deleted photos from Samsung NX 200 digital camera with Remo Photo Recovery software.Try now!!! Make use of Remo Photo Recovery tool to recover deleted or lost videos, pictures, and other media files from Nikon D4 camera memory card. 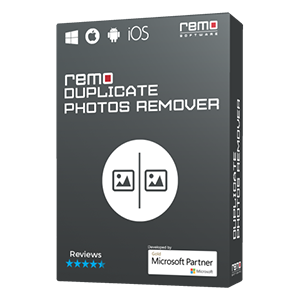 Accidentally deleted photos from Olympus E5 DSLR camera, Then download the free Remo Photo Recovery software to get back all deleted photos from your camera. Remo Photo Recovery is a splendid tool to recover lost/deleted JPEG photos from the SDHC or SDXC card of Sony SLT A77V DSLR camera. Recover lost, and deleted photos from Kodak Easyshare Z5010 camera using Professional Remo Photo Recovery software. Remo Photo Recovery is an easy to use yet professional tool to restore deleted or lost photos from Pentax digital cameras. Download the free version now to get the photos back from Pentax camera cards. Remo Photo Recovery - The best and simple solution to perform data recovery from Minolta digital camera after accidental deletion, formatting, and corruption of the camera card. Remo Photo Recovery is an advanced data recovery tool to recover deleted/lost photos from Olympus camera. Download and try now!!! Is there a solution to recover deleted files from iPod? This article aims to solve problem for all ipod users with a powerful tool. An easy way to restore your music files from iPod Shuffle, no matter how you lost or deleted them! Retrieve your precious data from corrupted iPods by making use of Remo Photo Recovery Software in just a few clicks. Check out here to know detailed process..
Make use of Remo Digital Media Recovery software to extract lost or deleted data from iPod in Recovery mode. It supports iPod recovery from various iPod models..
An ideal solution to retrieve music from your iPod Classic without affecting either your audio files or internal structure of the device. Best way to recover your lost MP4 video files from iPod Shuffle. Check it!! The highly-reliable program that scans and restores RAW files from memory cards, external HDD, SSD, removable USB drives in a secure manner. Easily unformat and restore raw files from SD cards using the Remo Card Recovery software. The tool brings back pictures retaining the original quality and structure. Remo Card Recovery is a handy tool to restore RAW files from SD cards of any brands with a quick scan operation. Remo Recover is the best software that efficiently restores DNG files that are lost, deleted, formatted or corrupt. RAW files lost after a conversion to DNG file format can be completely restored using the Remo Card Recovery utility. The program scans the storage and fetches data from it.